Bruny Island's natural beauty and an extraordinary wildlife eco cruise combine with fine local produce to create the ultimate Tasmanian eco tour. 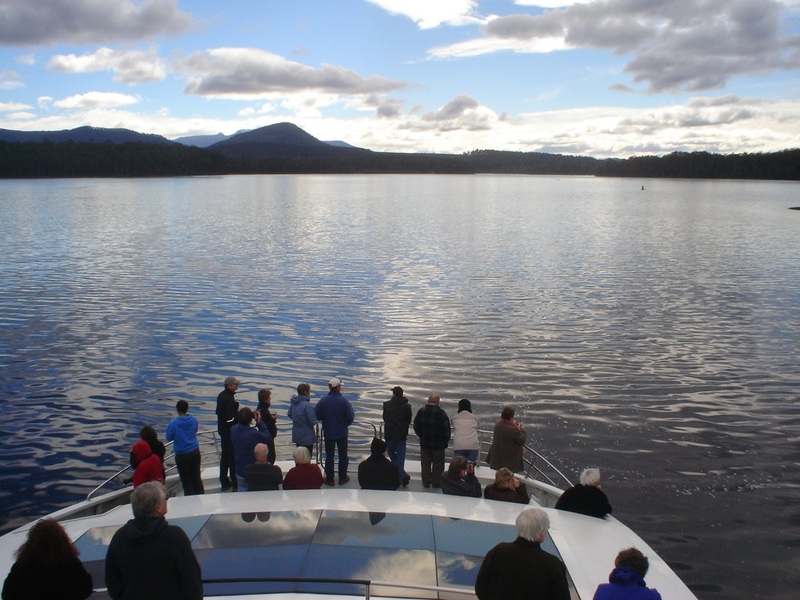 Welcome to the Bruny Wildlife Adventure – an unforgettable eco tour that takes you from the historic streets of Hobart to the wilderness of South Bruny Island and the Southern Ocean for an amazing one day cruise experience. 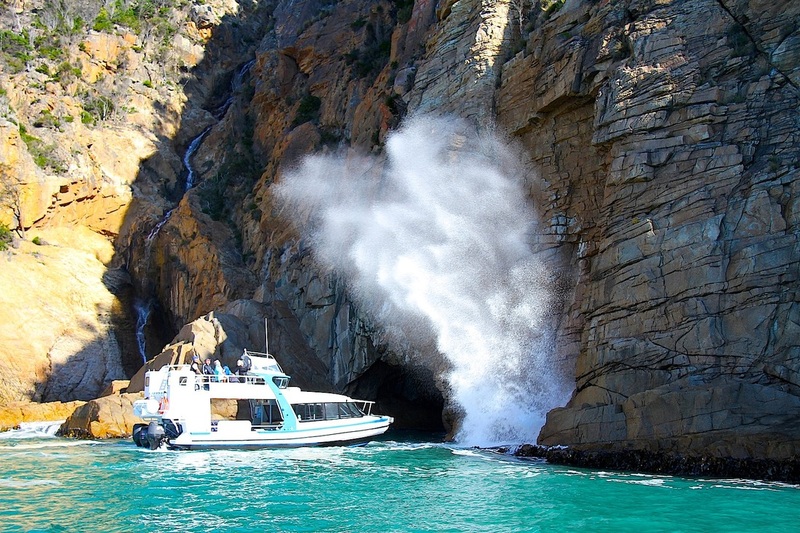 This tour, which includes two seperate Bruny Island cruises encompassing both North and South Bruny Island, is a fully-guided, full-day eco tour that blends the exhilaration of touring Bruny Island with the excitement of one of Tasmania's best wildlife cruises. views, world heritage convict history and isolated recreation. Their famous cruise and walk day tour of Maria Island takes you to visit the best of Maria Island in just one day. Enjoy a buffet lunch beside the Ile Des Phoques (Island of Seals), sip a Tasmanian sparkling wine inside giant sea caves, relax as they drift the boat aside cliff-top waterfalls and put the anchor down in a secluded bay with three kilometers of pure white sand. In the afternoon they’ll immerse you in the history of the Darlington convict settlement. Guides will walk you through beautifully-preserved buildings and if you are lucky you’ll catch a portrait with the local wombats! 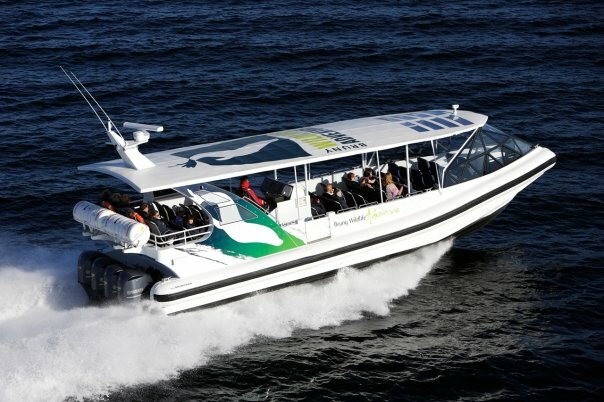 Take Australia's highest altitude ferry service at Lake St Clair. The journey takes you past world heritage wilderness, millions of years in the making by glacial forces. The vessel, the Ida Clair, routinely makes the 15 nmi (28 km) round-trip from Cynthia Bay via Echo Point to Narcissus Bay. On the 30 min voyage you are treated to a unique perspective of the spectacular natural beauty of the National Park as you cruise through a veritable dolerite pantheon formed by the encircling peaks of Mt Hugel, Mt Olympus, Mt Orthys, Mt Byron and Mt Ida. 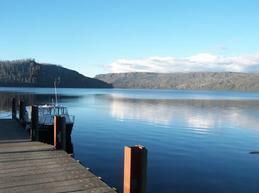 On a day trip there is plenty more to do at Lake St Clair, including walking, trout fishing & mountain biking. A journey into Tasmania's southern coastal wilderness is a must. It's that simple! Whether you choose the Bruny Island or Tasman Island cruise, you will be treated to an unforgettable adventure. You'll be zipped into a cosy full-length expedition jacket and minutes later viewing spectacular rock formations, intriguing caves and sea cliffs among the highest in the world. The sensitive coastlines are home to hundreds of seals, pods of dolphins, migrating whales, birds of prey and seabirds such as the albatross and shearwater. Give this experience the full day with tours leaving from Hobart including three hours of wilderness cruising, morning tea and a tasty lunch. Visit pennicott wilderness journeys or find them on Facebook. Whether it is cruising the stunning River Derwent and d'Entrecasteaux Channel on our luxury cat, feeling the wind in your hair on our high-speed expedition vessels or indulging in the best regional produce and wildlife encounters, Peppermint Bay Cruises has you covered. Explore the best Tassie has to offer from the deck of our 23m catermaran as you cruise the River Derwent & d'Entrecasteaux Channel on your way to Peppermint Bay. Alternately, brave the wild South East on this fun and exciting adventure into the Southern Ocean. Come face to face with seals, penguins, dolphins and other amazing wildlife, while enjoying the beautiful Bruny Island landscape. 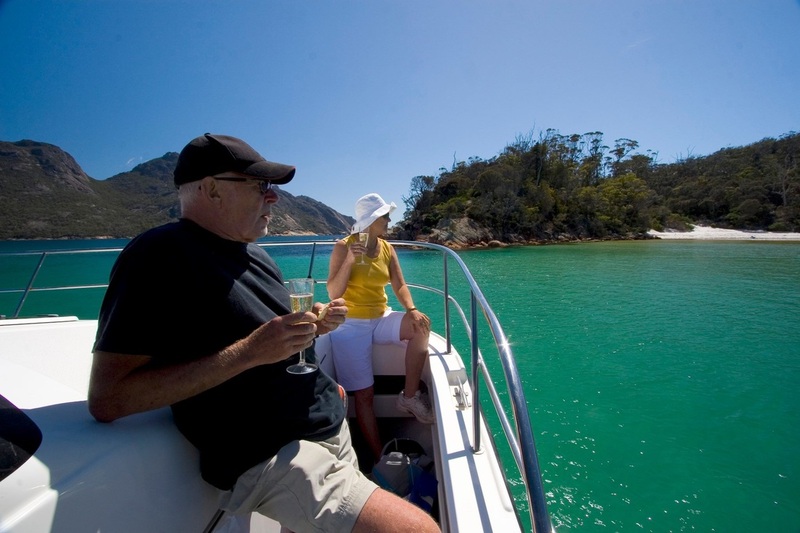 Step aboard their luxury catamaran Schouten Passage II for an unforgettable four-hour cruise which takes you from the gentle shores of Coles Bay to the world famous Wineglass Bay. Cruising the Freycinet Peninsula, you’ll experience stunning scenery, abundant wildlife and a rare, intimate perspective on one of Tasmania’s most extraordinary places. At anchor in Wineglass Bay, you’ll have time to absorb the true peace of this beautiful place while enjoying a hand-crafted Tasmanian ploughman’s lunch in relaxed style. 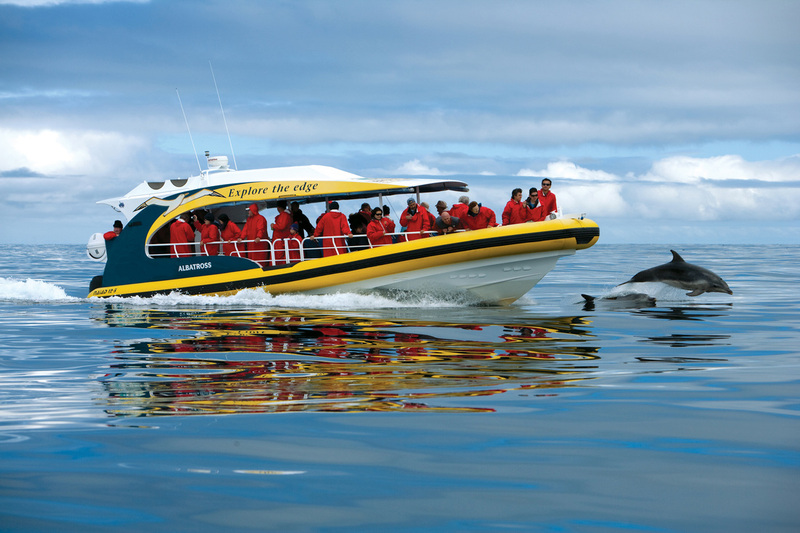 Dolphins, seals, albatross and sea eagles are regular visitors to the cruise and whales can often be seen on their annual migration from September to December. Immerse yourself in wildlife and become one of the privileged few.